Great new-home neighborhoods. Innovative home designs. Amazing upgrades already built in. And peace of mind you'll get with the KB Home 10-Year Limited Warranty. A quick move-in KB home reflects our commitment to quality construction, energy efficiency and industry-leading customer satisfaction. Visit one of these great KB Home communities today. A great, new, move-in ready KB home is waiting for you. 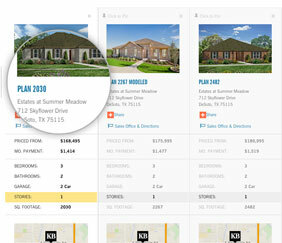 Filter criteria is derived from available inventory.